Does the Church Really Need Jesus? Prayer of the Day: Sovereign God, you have created us to live in loving community with one another. Form us for life that is faithful and steadfast, and teach us to trust like little children, that we may reflect the image of your Son, Jesus Christ, our Savior and Lord. “Long ago God spoke to our ancestors in many and various ways by the prophets, but in these last days he has spoken to us by a Son…” Hebrews 1:1-2. Of all words spoken by God, wherever or however, the final authoritative word is Jesus, the Word made flesh as John’s gospel puts it. Christian faith is therefore not principally the acceptance of doctrinal propositions. It is, in its essence, trust in a person, namely, Jesus. The church, according to professor Stanley Hauerwas, is that community of people whose way of life makes no sense apart from the conviction that Jesus is Lord. Turning the other cheek to aggression is an irrational response in a world where the peace is kept by armed police officers, militarized borders and weapons of mass destruction. Lending without hope of a return on your money is a recipe for bankruptcy. Selling your possessions to provide aid to the needy can only result in becoming needy. The Sermon on the Mount could hardly form the basis for a neighborhood home association, much less a nation state. That is because it was not designed for mass consumption. The Sermon, as well as Jesus’ other teachings, are meant to govern a people who believe that, with the resurrection of the crucified messiah, all the old assumptions about power, glory, security, wealth and poverty go out the window. Disciples of Jesus live in and for the reign of God which, though not yet fully revealed, is more real to them than the political, social and economic powers and principalities that demand their allegiance. Therefore, as the author of the Letter to the Hebrews will point out in Chapter 11, faith in Jesus results in a life that is altogether unintelligible to the rest of the world. It is somewhat troubling that, in our culture, the church is often all too intelligible quite apart from Jesus. In the mind of the general public, the church is seen as a public service organization doing good in within its community. It is viewed as a teacher of morality. Pastors and priests are the last resort for people in crisis who can’t afford professional counseling. The church is often expected to address social and societal issues. Of course, the church also provides fellowship and community. Don’t misunderstand me here. I am not suggesting that there is anything wrong with the church doing any of these things. But the truth is, there isn’t one of them that other organizations are not also doing-and often better than we are. So why join a church? Why not volunteer with Habitat for Humanity or get involved with Amnesty International? Why not join a biking group or a bridge club for community? What can you find in the church that somebody else isn’t offering? The church is, for the most part, neither odd nor even very interesting! It isn’t that we aren’t trying. We have consorted with think tanks, hired consultants and authorized studies to figure out what we need to do to be more appealing. But perhaps that is altogether the wrong approach. When discussions about spiritual renewal begin with questions about how to attract millennials, what needs exist in the community to be addressed or how to make our liturgy more “user friendly,” I begin to wonder whether we are trying to draw people in to save ourselves rather than bringing the good news of salvation to the world. I wonder whether we are looking at the needs in our community to find problems to solve, thereby justifying our existence, rather than responding to the pain in our community because the love of Christ compels us. I wonder whether we are being driven by an institutional survival instinct rather than the Spirit of Jesus. Are seeking to save our lives at the cost of our souls? Or are we spending them confident that God will return them to us? I recently attended a meeting of clergy within my denomination in which our leadership introduced a program designed to “revitalize congregations.” The program lasted a good hour and a half. There were the usual participatory exercises, small group discussions and Q&A. At the conclusion, I came to the realization that, throughout this entire parade of Powerpoint slides, talking points, graphs and charts, not once was the name of Jesus so much as mentioned. I don’t know whether that was intentional or inadvertent. Nor am I sure which would be the more disturbing. How, I wondered, is it possible to revitalize a church without Jesus? Moreover, even if this program were to succeed, would we want a church, however successful, that is revitalized by something other than Jesus? If God speaks finally, fully and authoritatively through Jesus the Son, shouldn’t that Son be central to any effort we make to grow in our faith and mission? Without Jesus, there is no reason for the church to exist. 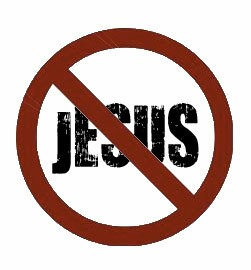 Indeed, if we have reached the point where Jesus is not relevant for us, if he is so inconsequential that we neglect to include him in discussions about mission and ministry, then I think we owe it to the world to shut our doors, liquidate our assets for donation to worthy causes and tell our congregants to go out and do something useful with their Sunday mornings. Forgive me if I am being a bit flippant here, but I can’t help feeling somewhat appalled at any meeting of church leaders in which Jesus is mentioned only in opening devotions, and all the more so when that meeting is about spiritual renewal! I believe we need to confront our spiritual anemia head on. Maybe the way to renewal is acknowledging that our connection to Jesus is frayed and that we have, to a large degree, lost our direction. Like the church in Ephesus, we have “abandoned the love [we] had at first” Revelation 2:4 . I would like to suggest a modest proposal: Suspend all revitalization, outreach, “transformational ministry,” “missional” events for the next year and dedicate these times for communion with Jesus in prayer, worship and reflection on the scriptures. Let our time be spent learning to pray together, trust one another and build collegial friendships. Let us engage in those spiritual practices through which the mind of Christ is formed in us. Let us learn to listen again to that Word of God that is Jesus. I have a feeling that if we do that, the revitalization part will take care of itself. Here is a poem by Christina Rossetti I previously shared this last April in connection with my Easter reflections. I share it again because it expresses a prayer that perhaps should be on the lips of us all. Source: This poem is in the public domain. Christina Rossetti (1830-1894) was the daughter of an Italian poet and exile who emigrated to England in 1884. There he established himself as a scholar and teacher of Dante’s works at Kings College. He married an English woman in 1826 and they had four children together, one of which was Christina. Christina Rossetti’s childhood appears to have been happy, characterized by affectionate parental care and the creative inspiration from her older siblings. A devout Christian, her many poems, short stories and devotional works are rich in biblical imagery. You can find out more about Christina Rossetti and sample more of her poetry at the Poetry Foundation website.